Endangered Durham readers will find this 1947 article about Durham's early residential areas of interest. I'd always wondered what that was. Thanks as always, Gary. 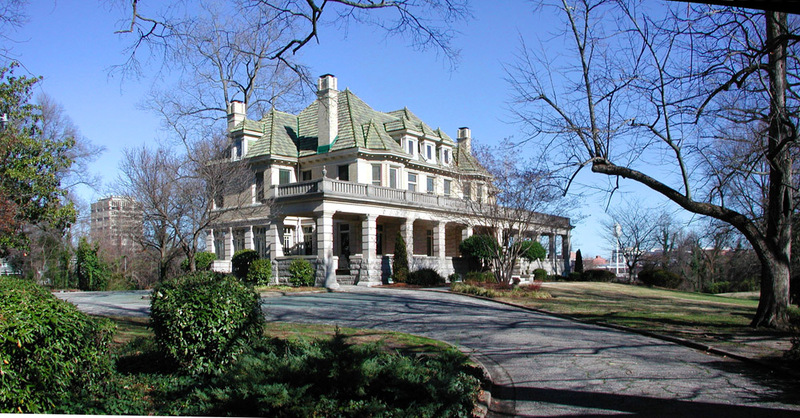 Greystone was built in 1911 for James Stagg. Norman Underwood was the contractor and CC Hook the architect; it's no surprise that this house strongly resembled B.N. Duke's Four Acres, built 5 blocks away by the same team during the same year, although it was smaller of the two. I was writing figuratively when I wrote earlier in the week that the Durham gentry was somewhat inbred. However, Stagg's father was a nephew of Washington Duke (his mother was Bartlett Durham's sister) and Stagg married Mary Washington Lyon, a grandaughter of Washington Duke. Stagg was 'executive secretary' to BN Duke for many years, as well as vice-president of the Durham and Southern Railway, a director of the Erwin Cotton Mills, Pearl Cotton, Mill, Fidelity Bank, and Union Station Company. Along with BN Duke, the Staggs lived in New York for a period before settling back in Durham. 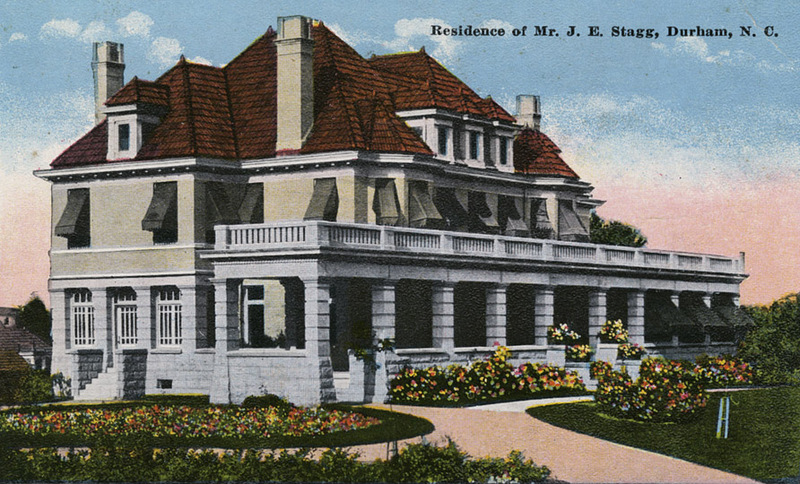 Stagg died in 1915, and therefore was unable to enjoy his chateau-style manse for very long. 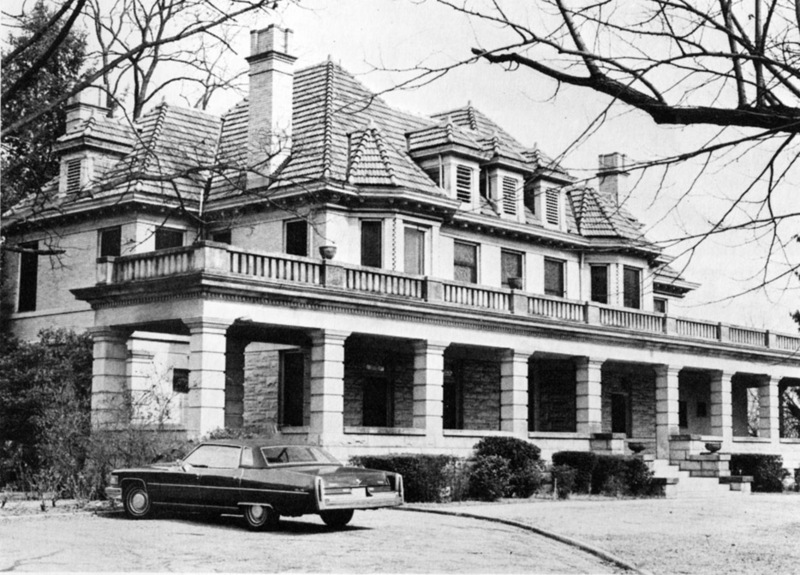 Mrs. Stagg, like several of the Durham gentry, had a 'country home' in northern Durham County, built during the depression - Spruce Pine Lodge. Mrs. Stagg lived in Greystone with her children until 1945. 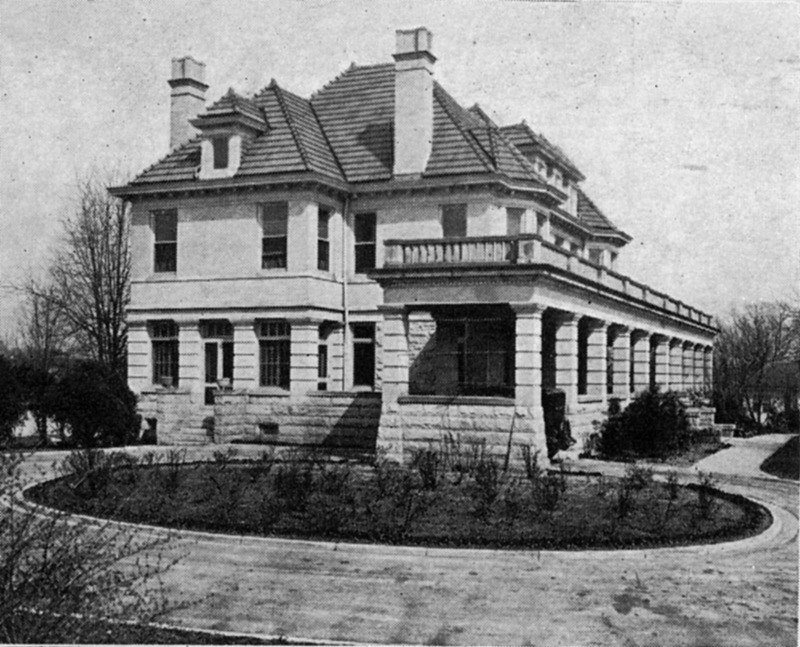 Stagg's daughter Mary Stagg Nicholson lived in the house until 1961, when it was converted into apartments and offices. For some reason, this type of adaptive reuse simply did not seem to be a priority for the city or the residents of Durham. Fortunately, it worked to preserve the house in this particular case. The house was restored in 1998 by the Brame family into a reception hall and inn. They also own most of the remainder of this block, which is sadly empty. 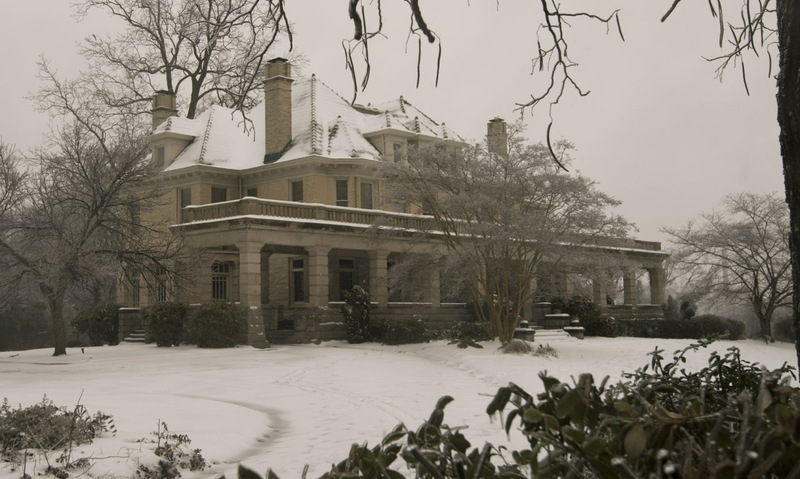 Greystone is, in my opinion, the most impressive once-single-family-dwelling remaining in Durham.